Google SEO Hungary - Rank with us on Google! Get top rankings on Google search engine result pages (serps) and convert your leads into purchasing customers. Search engine optimization (SEO) is an accepted way to tell search engines what your site is about. Most sites that lost traffic and/or rankings suffer from over-optimization penalties. The latest Google panda and penguin updates have frustrated webmasters and website owners alike. Link building efforts seem to fail and drops in rankings and traffic are paired with lower sales and disappointment. Have your site and back links audited and developed by experts from Hungary. Online presence and visibility is not an issue with well-designed sites. If your website does not get what it deserves just drop us a line and feel free to ask for help. We use only white hat seo (accepted by Google) to improve rankings and visibility and increase quality and volume of visitors to our clients’ sites. Experts at apentium.com place emphasis on conversions and increased sales rather than driving useless traffic to your site. Our aim is to set up a plan for a successful future operation – a strategy that lasts and survives any Google algorithm refresh or update. We play it fair – we look at competitors best practices and anticipate future changes. We do not promise number one positions for several reasons – let it be the “sales pitch” of black hat companies that warrants only short term success. They abuse Google search algorithm which cannot last long. Failed seo companies from the third world countries that lost their jobs due to Google crack downs on manipulative link building practices are now spamming e-mail boxes. The only success they can harvest is the fee for link removals (they run tonnes of link directories as part of their previous seo campaigns) otherwise most website owners should stay away from them. The seo game has changed significantly – you need to adopt to new rules and algorithm changes constantly and follow the established guidelines or you are bound to fail. SEO has always been a long term strategy. We not ony audit and advise – we do carry out the tasks to streamline your website online marketing efforts. 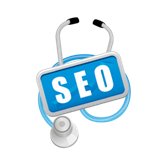 Besides the consultation we perform actual seo work to ensure success in the long run. We have helped a lot of companies out there in cyber space to tame Google. Among them are small and medium sized companies as well as websites from the really competitive arena – like gambling guides, local affilates, dental clinic promotions, dental tourism or ecommerce sites. Feel free to ask for an seo offer to rank better in Google search!